For the gypsies, the child is king. Whether Romany, Manouche or Catalan, for France’s 300,000 gypsies, the family is sacred and children are its treasure. Spoilt to the limit, nothing is too good for them. Their baptisms are often grandiose. 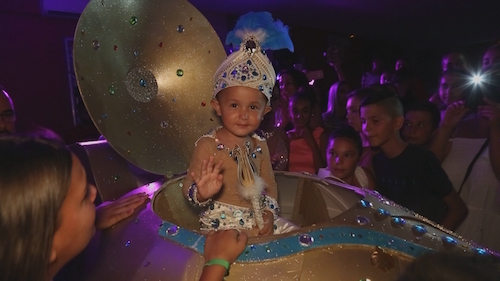 In the south of France, Julian, aged 3, is preparing to be baptized in the Catalan gypsy tradition. The ceremony promises to be packed with surprises. For the Patracs, Enzo, a 15-year-old boxer, embodies the hopes of an entire family. Shanka, 18, and Mayron, 17, are getting married. Barely out of their adolescence, they will experience a wedding fit for a fairy tale. As tradition demands, the young man must steal his future wife from her home without alerting her parents. As for Sophia, she is pregnant by Jordan. She is soon to meet her in-laws.